Watch the Brandon Vera vs Igor Subora fihgt replay. 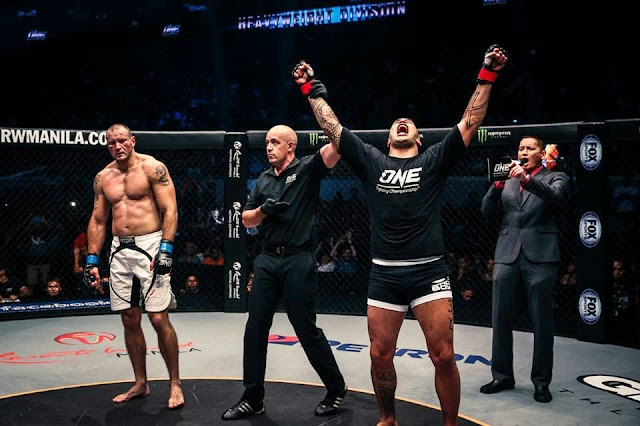 December 5, 2014 at Mall of Asia Arena, Philippines ONE FC 23, there were four Filipino fighters and featuring the Filipino American Brandon "The Truth Vera" won the fight and defeated Igor Subora via URCC Heavyweight Champion Igor Subora in the very fight round. It was a great KO by Filipino American Brandon Vera who KO'ed his opponent and became the URCC Heavyweight Champion Igor Subora in his ONE FC debut.